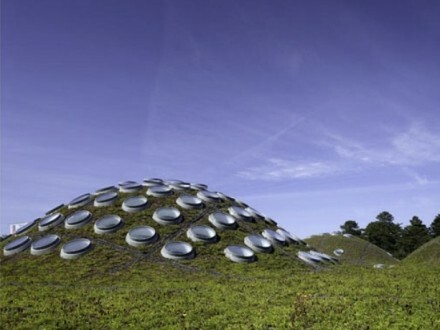 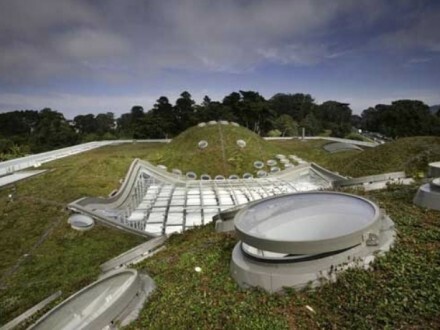 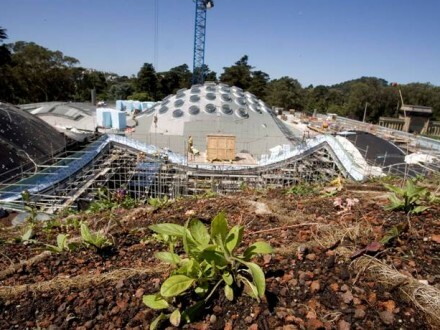 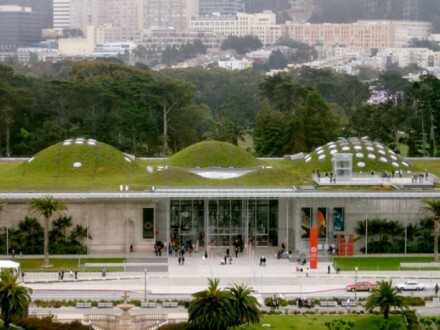 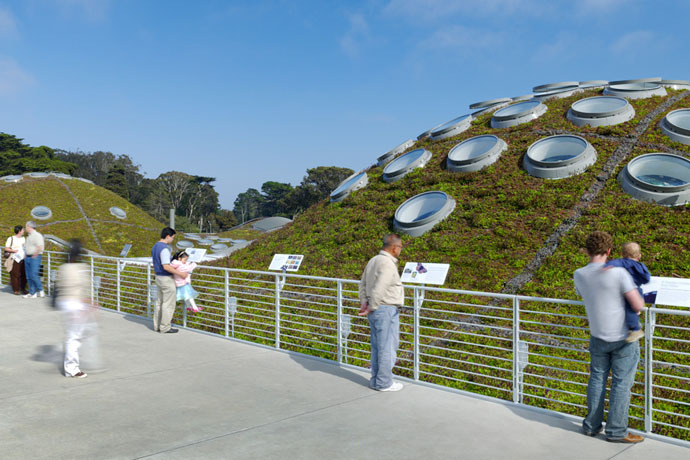 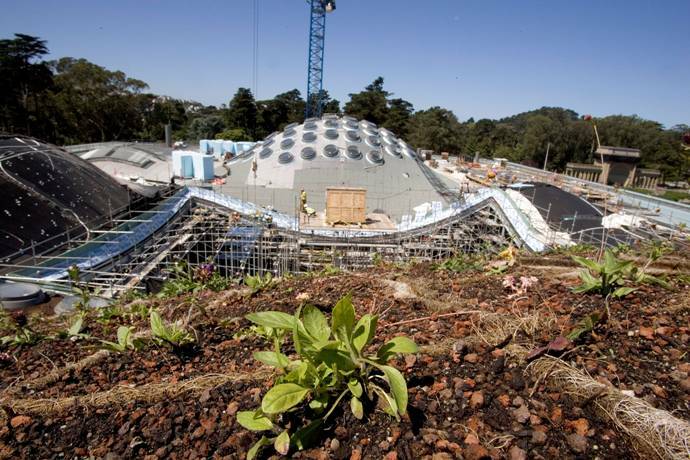 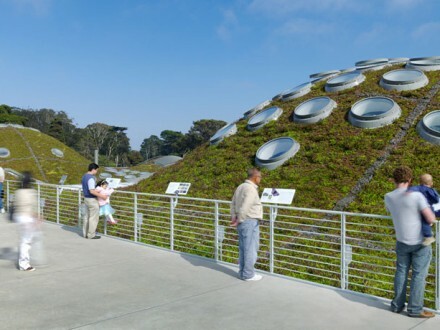 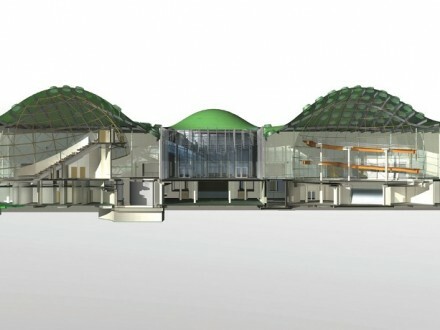 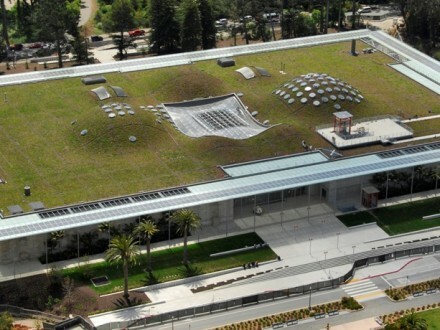 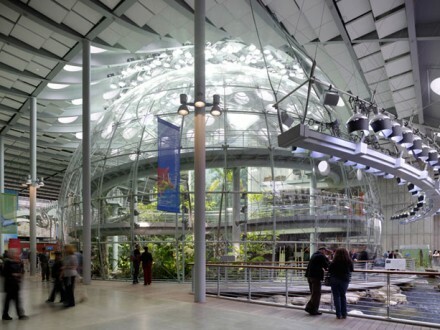 The California Academy of Sciences is a multiuse complex, hosting spaces for both research and scientific collections distributed over five floors facing towards a park, with exhibition halls situated around a ground floor plaza and at basement level. 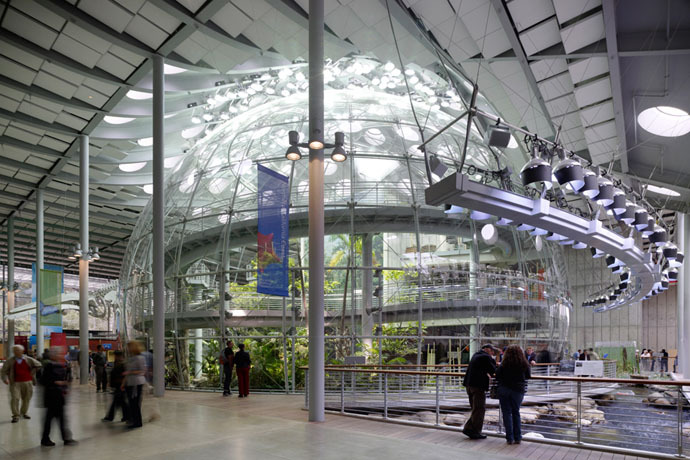 Built as an educational and research centre for the life sciences, this building is currently the greenest building in the world. 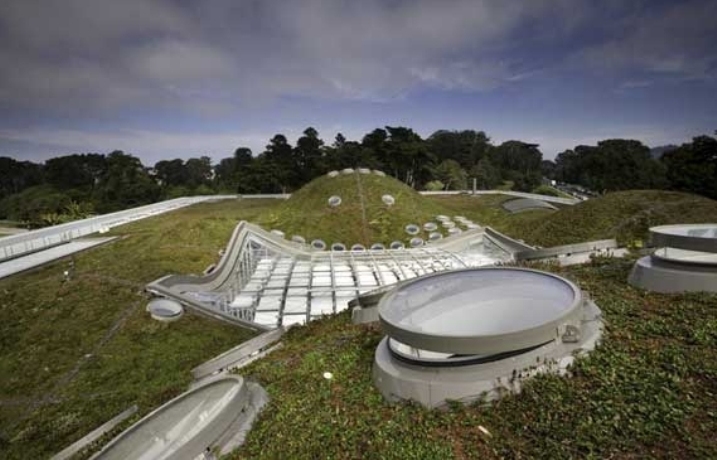 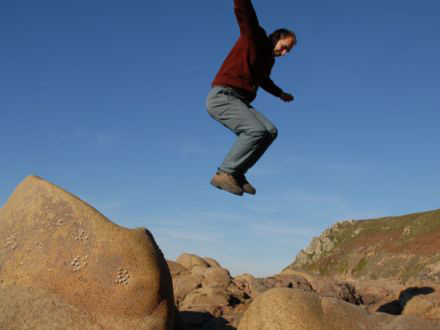 There is a real commitment to energy efficiency, reducing the carbon footprint and preserving the natural world. 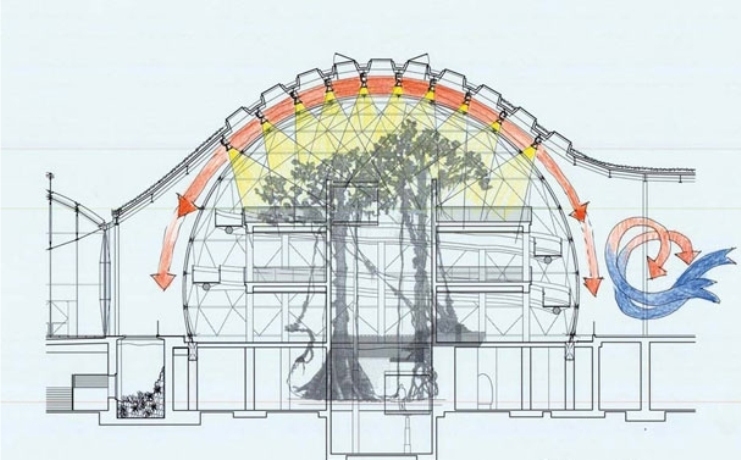 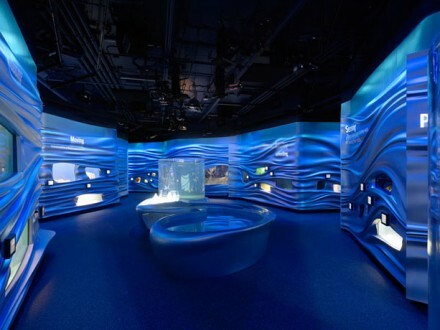 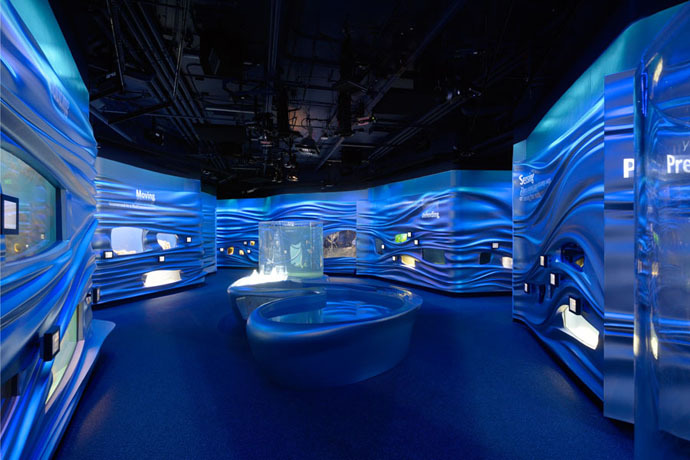 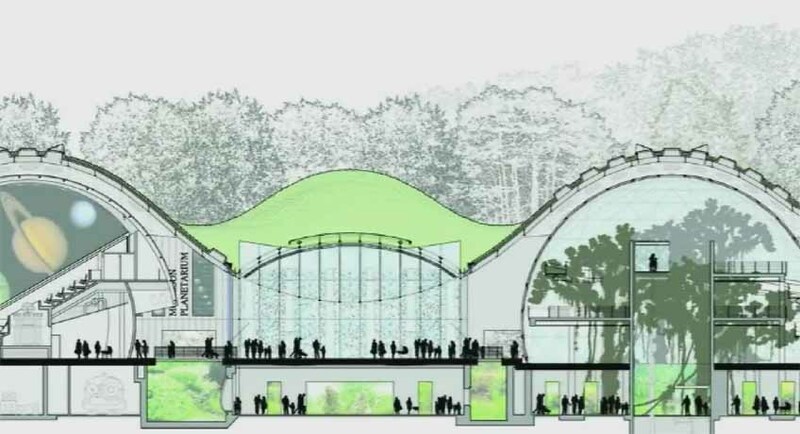 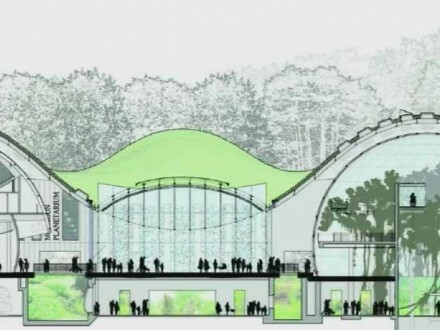 The academy’s different functions are integrated by an undulating roof garden, and the spaces are organised to provide a harmonising effect between the new Planetarium, the Rainforest Exhibition and the entrance to the Steinhart Aquarium. 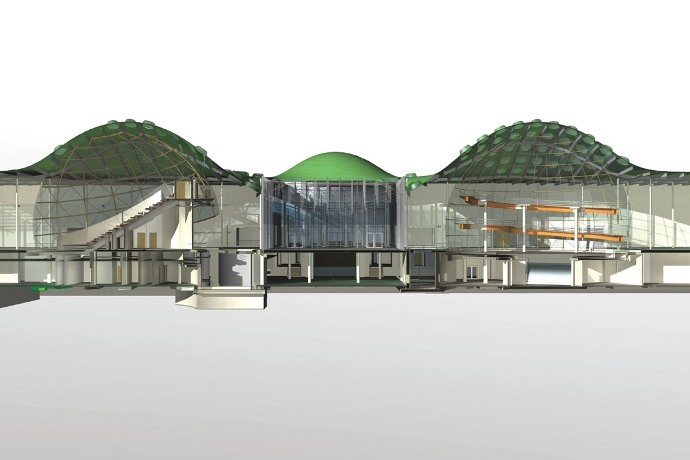 A central glazed skylight illuminates the plaza whilst smaller skylights allow natural light to penetrate the exhibition space. 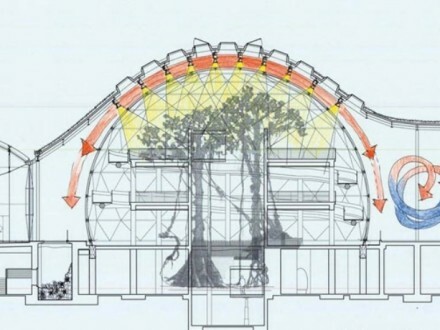 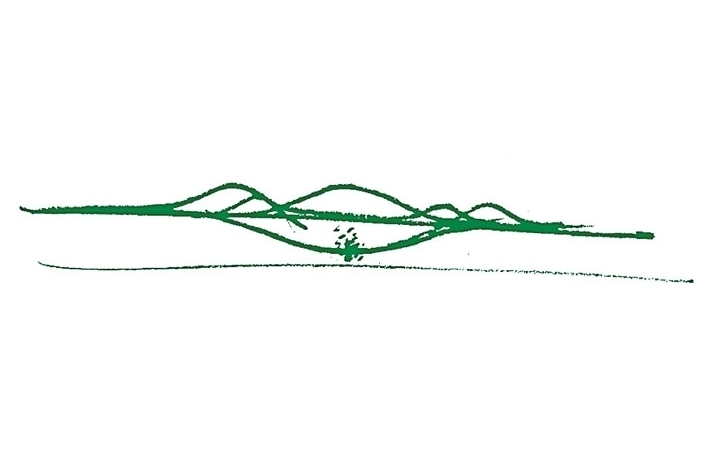 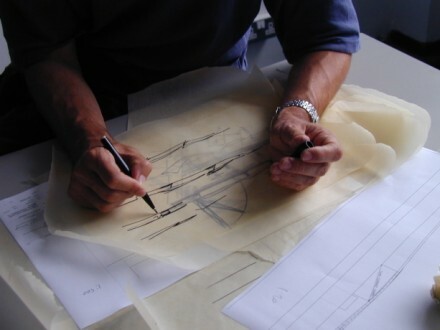 With sustainability at the heart of the building design, technologies such as natural ventilation and the reutilisation of water as an energy source are also applied. 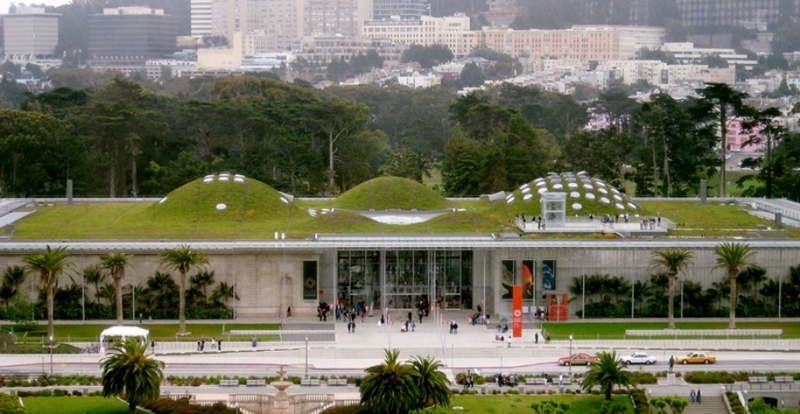 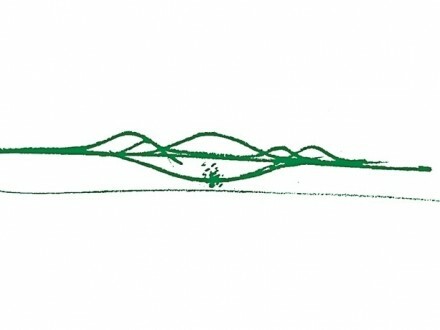 A green roof and semi-transparent photovoltaic cells are further examples of implemented technologies that put this building at the cutting edge of sustainable construction; resulting in a development that uses one-third less energy than comparable structures and generates five percent of its own energy demand.